Sheet pan dinners are a busy parent’s best friend. 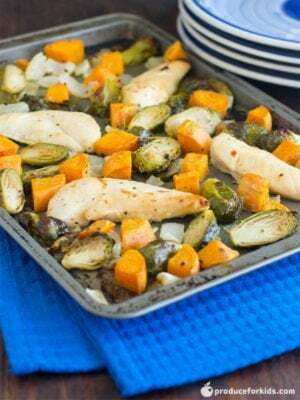 All you need is a sheet pan, some veggies, a protein and your favorite seasonings, and you can have a healthy, homecooked meal on the table with little-to-no work and clean-up! 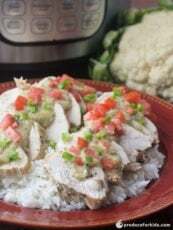 For this recipe, we tossed the veggies and chicken in a tangy honey mustard sauce for one tasty dinner. Preheat oven to 400°F. 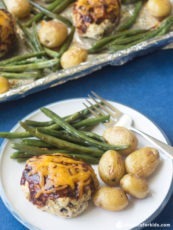 Spray baking sheet with nonstick cooking spray. Mix mustard, honey, oil, salt and pepper in large bowl. Add Brussels sprouts, sweet potatoes and onions, tossing to coat. Spread vegetables on baking sheet, leaving space in middle. Add chicken to bowl and toss with remaining sauce. Place chicken in middle of baking sheet. 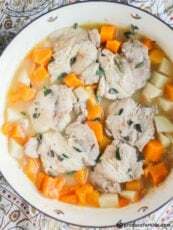 Bake 30 minutes, or until chicken is cooked through and vegetables are tender.